Who is this Jeff Smieding? George Detzler hates crying into his mother’s Salt Machine almost as much as he loves his sister, Vera. So when Vera gets sick of crying and disappears into the forbidden forest behind their house with a strange boy, George heads out in search of her. In the forest, he finds himself thrown into a world scarier and stranger than he ever thought possible. As he battles a giant wolf, finds his way through a massive labyrinth, and looks for his sister, George learns that an angry spirit is trying to bring magic back into the world. It’s up to him to stop it before it brings about the end of everything he has ever known. 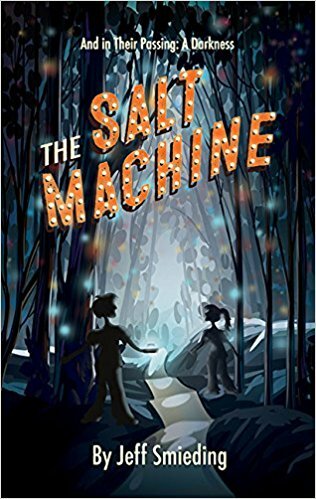 The Salt Machine is published by Red Sofa Books. k d mccrite on On Writing – Stay Up With The Times!